The 2015 Stadium Events & Hospitality Awards were hosted at the King Power Stadium, home of Leicester City Football Club on Thursday 4th June 2015. The 2015 awards were the 11th annual stadium venue awards organised by Stadium Experience. 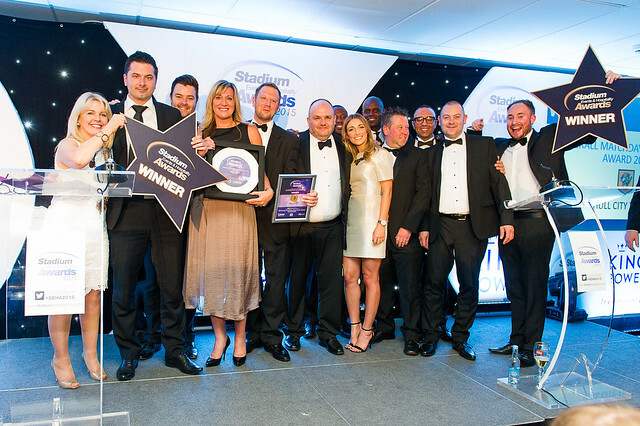 The Stadium Events & Hospitality Awards was held on Thursday 4th June 2015, hosted in Leicester at King Power Stadium, home of Leicester City Football Club. Find out the 2015 Awards results here. See the 2015 awards photo gallery by clicking on the picture at the bottom of this page. Judged by the Stadium Experience Leadership Team. Voted for by media attending matches across the UK.